Complete Game Clinic and Marshfield Youth Baseball are happy to announce the dates for the third annual Complete Game Clinic. Joe Belmosto, Teacher and Coach at Braintree High School will be conducting the camp with the help of other former Marshfield Rams Baseball players & coaches. Joe is a proud Marshfield High School Graduate and former captain of the Baseball team. This year’s clinic will feature two separate weeks of camp scheduled for the weeks of June 24th to June 28th, and July 8th to July 12th. Each week of camp will be conducted Monday to Friday from 9:00 a.m. to 2:00 p.m., at the Marshfield Youth Baseball Field Complex off of Webster Street. Parents will drop off and pick up their youth players at field number one. A typical day at camp will consist of proper stretching, throwing and fielding techniques, along with drills in the morning. Specialized instruction each day will rotate from hitting drills, positional fielding drills, competitions, and much more. During lunchtime, a special event or trivia competing for baseball related prizes will occur, with teamwork skills and an organized game being the focus during the afternoon. 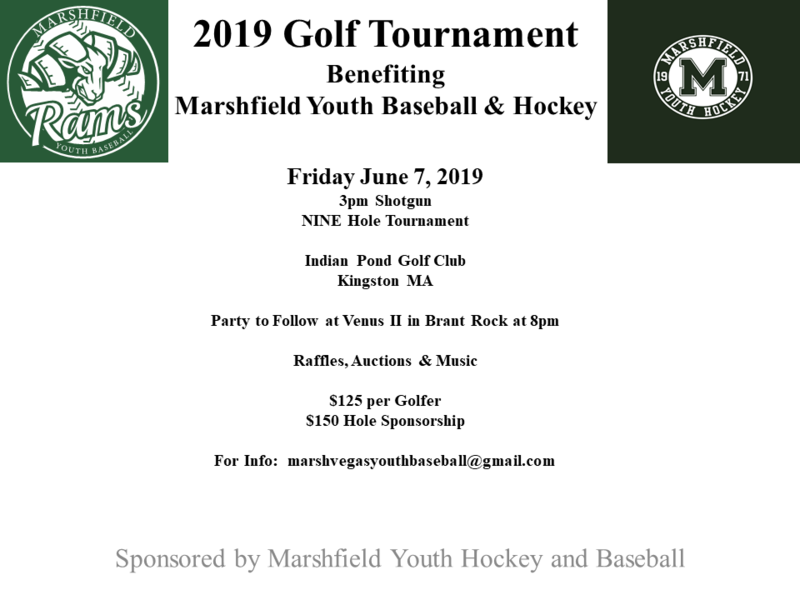 Each player will receive a camp tee-shirt and enjoy a safe, fun, and instructional atmosphere dedicated to improving Marshfield Youth Baseball and beyond. Tuition for 5 days of instruction will be $200 ($25 off for each additional family member). If interested, please find the attached brochure with sign-up information. Please do not hesitate to contact Joe Belmosto, at 781-864-1165 or CompleteGameClinic@Gmail.com with any questions. Also, more information and link to the brochure with signup information is available at www.CompleteGameClinic.com.